The NE postcode area, also known as the Newcastle upon Tyne postcode area, is a group of postcode districts around Alnwick, Ashington, Bamburgh, Bedlington, Belford, Blaydon-on-Tyne, Blyth, Boldon Colliery, Chathill, Choppington, Corbridge, Cramlington, East Boldon, Gateshead, Haltwhistle, Hebburn, Hexham, Jarrow, Morpeth, Newbiggin-by-the-Sea, Newcastle upon Tyne, North Shields, Prudhoe, Riding Mill, Rowlands Gill, Ryton, Seahouses, South Shields, Stocksfield, Wallsend, Washington, Whitley Bay, Wooler and Wylam in England. The Newcastle Upon Tyne postcode area covers the largest area of North East England. The other postcode areas of the North East being the SR, TS, DL, DH and TD (Berwick, Cornhill, and Mindrum within England) postcodes. It incorporates the Tyneside area of Tyne and Wear, as well as most of Northumberland (apart from the Berwick area in the far north of the county). The Newcastle upon Tyne postcode area had a census return population of 1,162,976 and the area is the UK's fifth most populated postcode region. The original NE postal district created in 1858 was in North East London, but this was abolished in 1866 (along with the S postcode, which later became the Sheffield postcode area); parts were transferred to the N and E districts, while others were removed from the London postal district altogether. NE postcode area map, showing postcode districts in red and post towns in grey text, with links to nearby CA, DH, DL, SR and TD postcode areas. ^ Manger, Warren (26 August 2014). "40 facts about the postcode to mark 40th anniversary as vital part of daily life". mirror.co.uk. mirror.co.uk. Retrieved 16 March 2018. 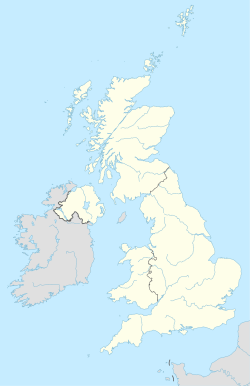 ^ "History of the UK Postcode - Modern Origin". postcodearea.co.uk. postcodearea.co.uk. Retrieved 16 March 2018. ^ Staff. "NE postcodes". doogal.co.uk. Retrieved 27 May 2018. ^ a b Reynolds, Laura (October 2016). "Why Is There No NE Or S London Postcode District?". londonist.com. londonist.com. Retrieved 16 December 2017. ^ a b c d e f g "Non Geographic Codes" (PDF). Royal Mail Address Management Unit. July 2012. Archived from the original (PDF) on 16 September 2012. Retrieved 29 November 2012.